The 2019 BMW X4 retains the coupe-themed roofline from the first generation that appears more seamless in design, while the design, features and underpinnings are shared with the new generation X3 SUV. 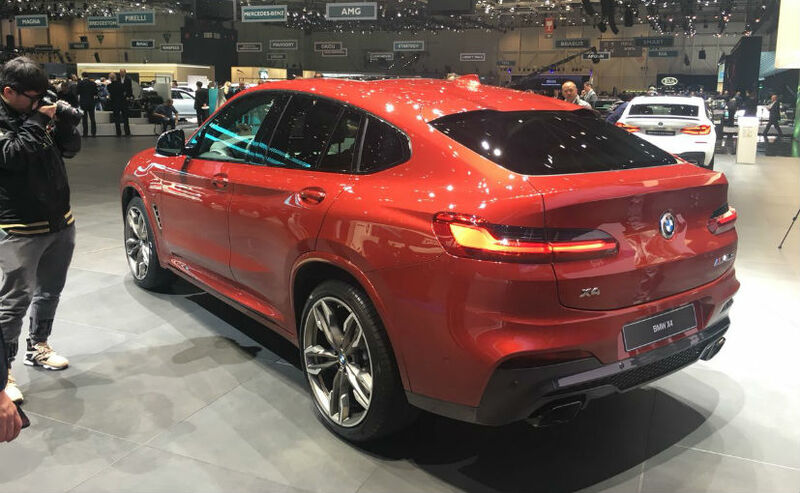 Following the unveil in images, the second generation BMW X4 SUV has been revealed to the public at the Geneva International Motor Show 2018. The new generation model continues to retain its coupe-themed design while sharing its underpinnings with the new generation BMW X3 that was recently launched in India. The new BMW X4 is positioned below the X6, the car that invented the coupe-SUV category, and manages to make overall design more seamless than its predecessor. The front on the X4 is similar to the X3, but things change dramatically at the rear with the coupe roofline. The overall styling is more elegant though with a larger grille and standard LED headlights. 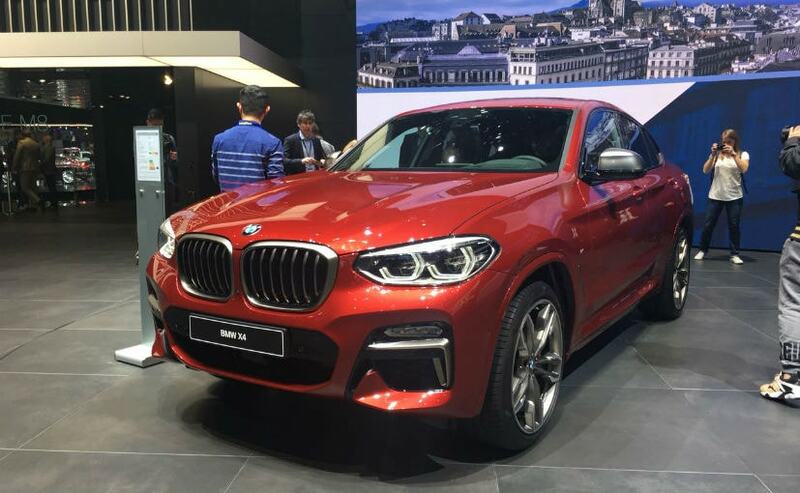 The proportions on the X4 have increased and the coupe crossover SUV is now 81 mm longer, 37 mm wider and 3 mm shorter than the previous generation version. The wheelbase has increased too by 54 mm, liberating more legroom for the rear passengers. That said, the coupe roofline means headroom will still be at a discount in the second row. Inside too, the second generation BMW X4 borrows heavily from the new generation X3. Major upgrades over the older version include a new 6.5-inch display that comes as standard for the infotainment system or the optional 10.3-inch unit. The steering wheel is shared with the new X3, 5 Series and 7 Series, while you also get voice and gesture control, and paddle shifters on higher spec variants. The X4 also offers a new Ambient Air package which adds an ionizer as well as a fragrance diffuser, along with trip-zone climate control and ventilated front seats. Under the hood, the 2019 BMW X4 will be available in a range of options including the 2.0-litre twin-turbo four-cylinder petrol in different states of tune; while there is a 2.0-litre twin-turbo four-cylinder diesel available as well. BMW will also offer 3.0-litre straight six petrol and diesel engines on the top variants. Transmission duties will be handled by an 8-speed unit on all trims, while xDrive AWD will be offered on selected versions. The coupe-SUV is offered with 19-inch or 20-inch wheels, while BMW has made the M Sport suspension and speed-sensitive electro-mechanical Servotronic steering as standard on all trims. Sales for the second generation BMW X4 will commence later this year across several developed markets globally, and India too is expected to get the coupe-SUV during the second half of 2018. While it still retains the novelty in design, the new BMW X4 will lock horns against the Mercedes-Benz GLC, Audi Q5 and the Range Rover Evoque.